The month of January has flown by, and hasn't been anything too exciting. As freaked out as I am about having it already be February, I'm ready for a fresh start, and a new month! 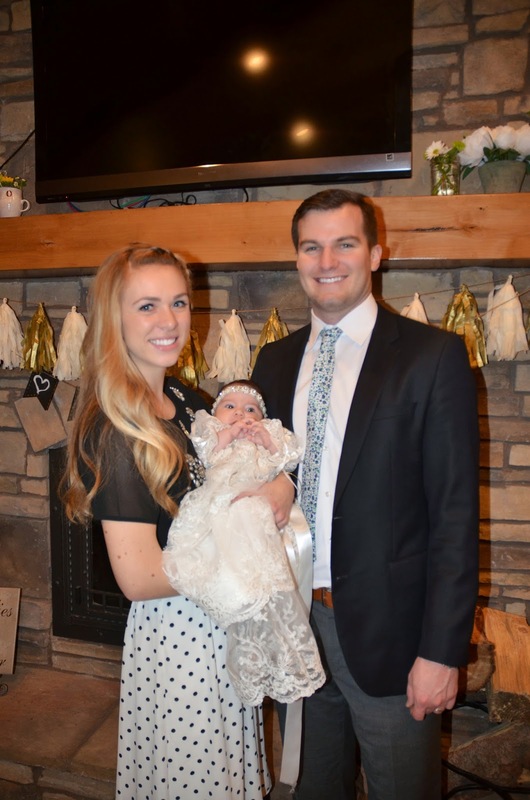 This past weekend we had Tanner's family in town for sweet baby Olivia's blessing. We had such a great time with them, it's always sad to see family go. so fun to have almost everyone together! I love the braid in your hair! And I second the above ^ baby hungry as well! Ha!